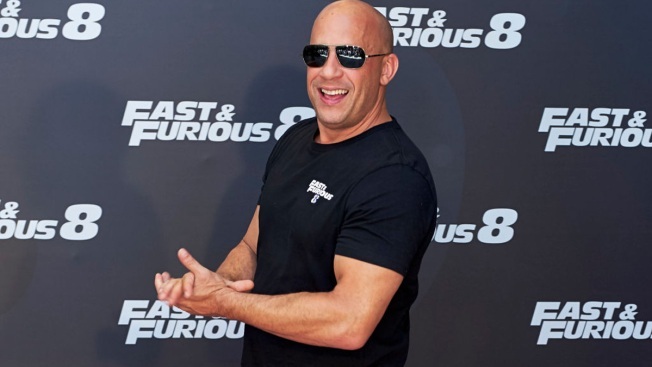 In this file photo, Actor Vin Diesel attends the 'Fast & Furious 8' photocall at the Villamagna Hotel on April 6, 2017 in Madrid, Spain. Does the summer movie season still exist? It was once an air-conditioned oasis that drew lines around the block of audiences eager for the roller-coaster ride of "Indiana Jones," the shark bite of "Jaws" and the buzz of a lightsaber. But in a time where the mega-movie business is year-round, that once hallowed season of moviegoing — maybe the quintessential big-screen, popcorn-eating experience — no longer means the same thing. The summer blockbuster didn't wilt away. It grew too big to content itself just with just May through August. Studios, seeing open real estate elsewhere on the calendar, have in recent years begun spreading out their spectacles through the year. Like a King Kong that broke its chains, the summer movie now lumbers down every avenue. It's blockbuster gentrification. There's a Godzilla on every block. This year has already seen one $1 billion movie ("Beauty and the Beast") and "Fate of the Furious" isn't far behind. Others await the cool, vaguely more 'serious' breezes of fall, including "Thor: Ragnarok," ''Justice League" and "Blade Runner 2049." Even "Star Wars," as if saying goodbye to the kiddie table, has fled summer and taken up residence in December. "What's missing this summer is something out of leftfield that blows people away," said Jeff Bock, senior box-office analyst for Exhibitor Relations. "We haven't had that for a few summers, to be honest — that true blockbuster that comes out of nowhere. What we get is pretty known commodities and huge franchises." For a great many of the summer's biggest movies — "Guardians of the Galaxy, Vol. 2," ''Alien: Covenant," the fifth installments in the "Pirates of the Caribbean" and "Transformers" franchises, "Wonder Woman," ''Cars 3," ''Despicable Me 3," ''Spider-Man: Homecoming" — the main objective will be to satisfy fans of the franchises. Others are hoping for something fresher. Edgar Wright, the British writer-director of "Shaun of the Dead" and "Hot Fuzz," is a battle-scarred veteran of that machine, having spent years writing and developing Marvel's "Ant-Man" before departing it over creative differences. This summer, he returns with "Baby Driver" (June 28), his "musical car chase movie" about a fresh-faced getaway driver who obsessively soundtracks his high-speed chases. "It ended up being very fortuitous to come out of a heartbreaking experience and jump straight into something I had already written and I really wanted to do and was my dream movie," said Wright. "Maybe the day after I left the other movie, literally one of the first emails I got from (production company) Working Title just said 'Baby Driver next?'" Following its enthusiastic reception at SXSW in March, "Baby Driver" was pushed by Sony Pictures from August into the heart of the summer. "It won't be like anything else that's out in the cinema at that time," said Wright. "It's up against the behemoths like 'Transformers,' 'Despicable Me' and 'Spider-man,' but it's not like any of those movies." Others are trying to reorient the summer movie. Christopher Nolan, who enjoys a rarified position in Hollywood given his successes, will trot out his World War II tale "Dunkirk," about the British evacuation in France. Largely shot with IMAX cameras, "Dunkirk" is the kind of grand historical epic that rarely appears in summer, let alone any other time of year. Some films find reinvention in a shift in perspective. Sofia Coppola's "The Beguiled" (June 30), adapted from the 1966 Civil War novel by Thomas P. Cullinan, takes a more female view of the story of a Union soldier who takes shelter in a Confederate girls boarding school than the 1971 version starring Clint Eastwood. Kumail Nanjiani's "The Big Sick" (June 23) is a funny and tender rom-com, only told with more realism than usual in the genre and a less familiar cultural context. Nanjiani plays a Pakistani-American stand-up trying to evade an arranged marriage, and is inspired by Nanjiani's meeting of his wife and collaborator, Emily Gordon. New players are also shaking up the summer. Kathryn Bigelow's "Detroit" (Aug. 4), about the city's 1967 riots, will be the first summer film distributed by Megan Ellison's acclaimed Annapurna Pictures. That, too, is untraditional summer programming, but Bigelow has made a career out of turning complex subjects into heart-pounding cinema. The timing, Bigelow said, has less to do with the summer season than the 50th anniversary of the unrest. But the most significant new entrant to the season is Netflix, which will be rolling out its most ambitious efforts yet. Bong Joon Ho's sci-fi fantasy "Okja," with Tilda Swinton and Jake Gyllenhaal, arrives June 28. And with David Michod's Afghanistan war satire "War Machine," starring Brad Pitt as a fictionalized Gen. Stanley McChrystal, the streaming service will take a significant step up in scale (it paid $50 million for the film) and star power. "This is a Netflix film and there's something about that that really excites me," said Michod. "Maybe this isn't the kind of movie the studios would put into a wide release in this time of year. There's something about the Netflix revolution that makes me feel: Why not?" It's the kind of subject matter and style — a see-sawing, absurdist tone inspired by films like "Catch-22" and "M-A-S-H," that today's studios likely wouldn't touch. But Michod ("Animal Kingdom," ''The Rover") said the world — and the summer movie season — "could use more wild and unusual movies." "We needed freedom and we needed to be working with people who embraced the risk of the venture," said the Australian director. "And all of that has certainly proved to be true with our experience with Netflix. Something about making films for traditional, arguably staid theatrical rollouts has steadily crushed risk-taking on a grand scale." So, no, the summer movie season isn't the same. But in the shadow of superheroes, a new kind of summer movie — on screens big and small — might be growing.